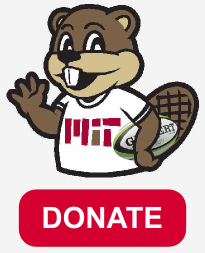 On April 13, 2019, MIT welcomed Burlington RFC to Briggs Field on a beautiful spring day. Kickoff time was pushed back to 3:00 PM so Eric G. could work on his tan and watch some exciting ultimate frisbee action. Caleb S. took great joy in Eric’s early arrival, as Caleb showed up on time, at the correct field, and in the correct state for a change. On Saturday, April 6, 2019, MIT hosted Boston Maccabi RFC at Briggs Field for their first home game of the spring. The Maccabis were coming off an impressive fall season where they had only lost 1 game and had qualified for the playoffs. The Maccabis showed early on why they are one of the top teams in the league. Their hard running forwards were breaking the gain line and sucking in MIT defenders. Their speedy fullback twice scored along the sideline, as MIT were having a hard time communicating and reorganizing the defense. Another Maccabi runner scored after a poor MIT tackling effort.